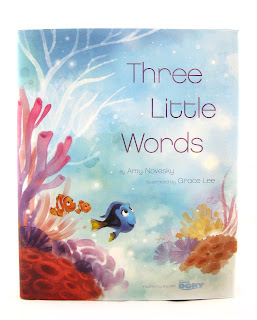 Three Little Words is a beautifully written and masterfully illustrated children's picture book based on the world of Finding Dory. Collaborators Amy Novesky and Grace Lee did a wonderful job at bringing the film to the page with simple wording, a tender message and eye-catching water color style illustrations on each page. 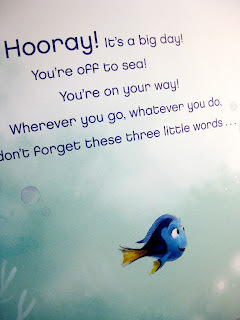 This one, out of all the Finding Dory books out there, is the real stand out for me. The images created here are so soft, yet so vibrant, and are unlike anything I have represented in my Pixar library. 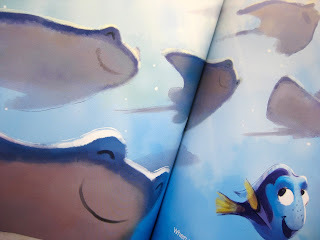 Each page, visually, matches with the main story beats of the film; however the text is boiled down to just the main takeaway of the book, which is hope and perseverance. 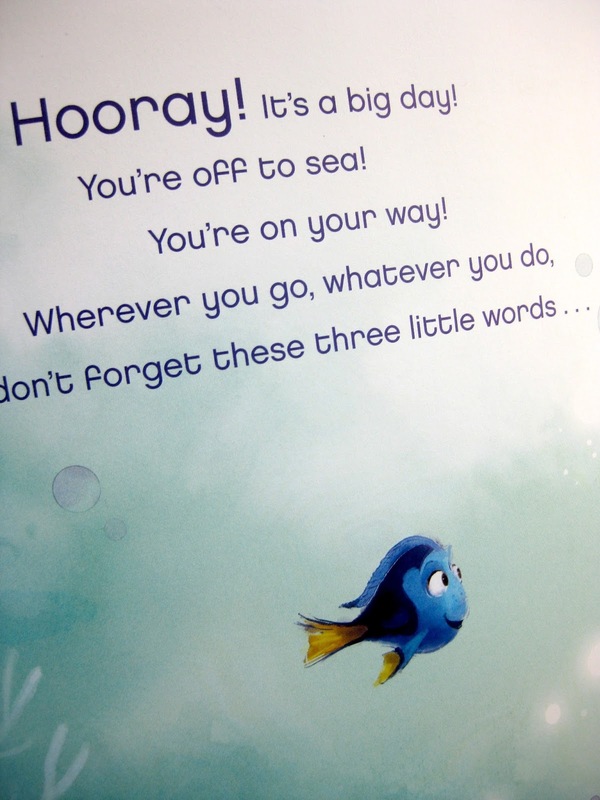 "Just keep swimming", you guessed it, are the three little optimistic words that keep Dory going through both the challenging and joyful times of her adventure. I don't want to give too much away, but I did want to give you a peek inside. Have a look below! Fantastic right? This 32 page, hardcover book is as classy as they come. If you're a fan of the film, I highly recommended picking this up for your collection! 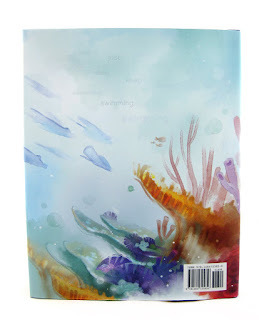 You can find it wherever Finding Dory books are sold (Barnes and Noble for one) or on Amazon using the direct link below.